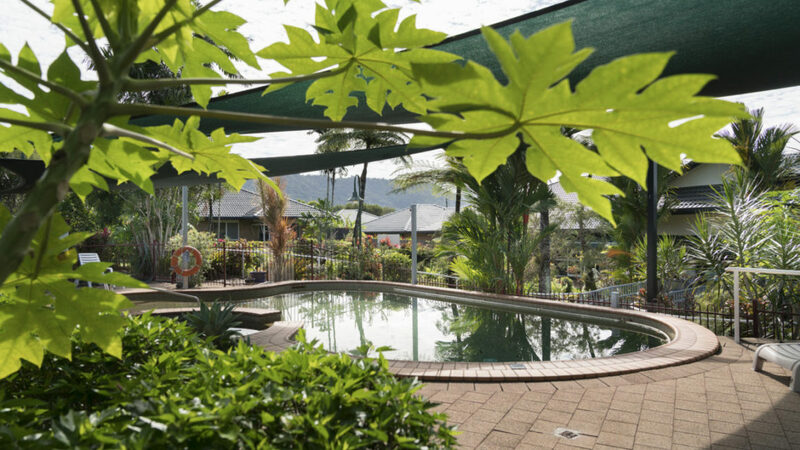 Regis Whitfield is surrounded by beautiful tropical gardens and panoramic views of the surrounding mountain terrain. 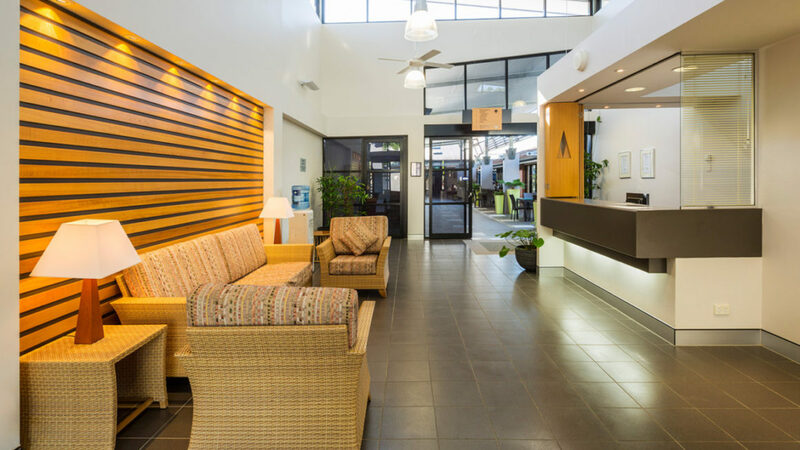 Gathered around a large community plaza, and minutes from the Botanical Gardens and the bustle of Cairns City Centre. 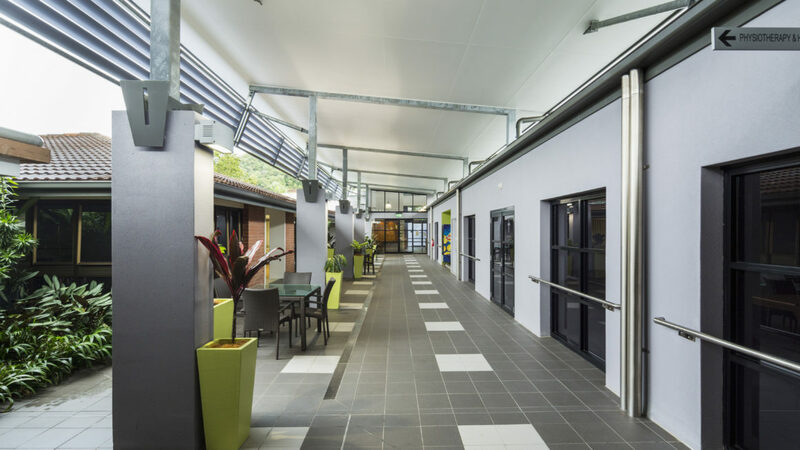 This aged care complex offers 130 single rooms, all with en suite and caters for a range of aged care needs. 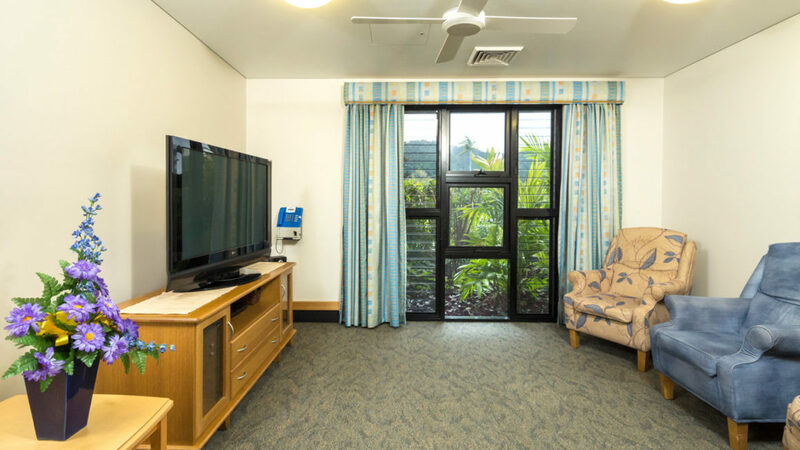 A specially-designed secure wing provides a calm and engaging environment for people with dementia. 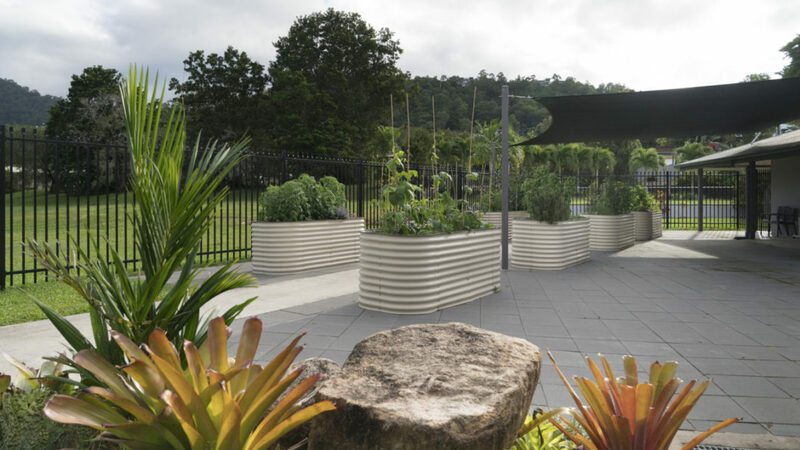 Whitfield also boasts an on-site hairdresser, café, library with computer area, chapel, day therapy centre and award-winning landscaped gardens. 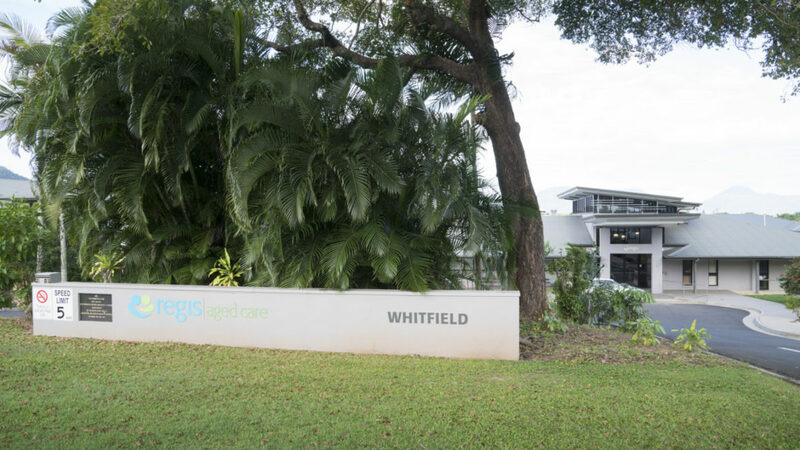 Regis Whitfield is a place dedicated to your support and care. We choose our people carefully and train them beyond industry standards. And we ensure they have the support they need to focus on your needs. 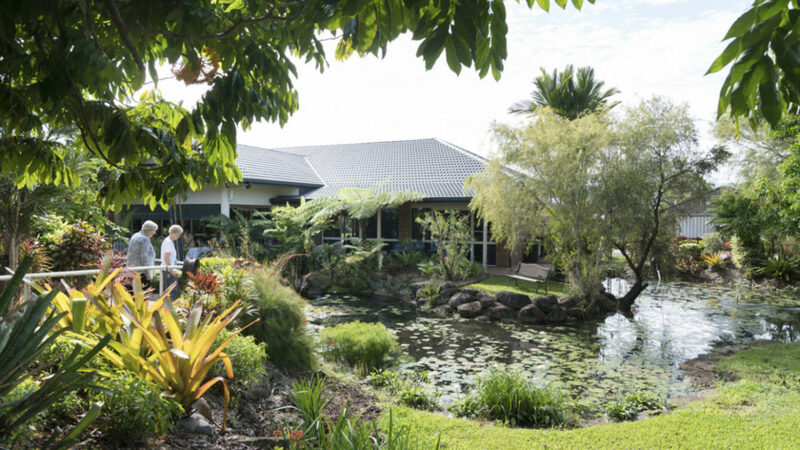 Like all Regis facilities, Whitfield delivers innovative programs underpinned by classic care principles. 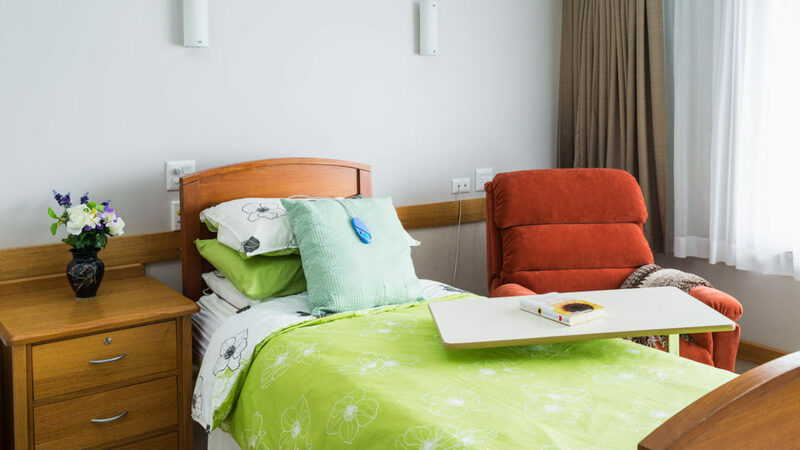 Our highly experienced specialists will develop a personal program for you, to enhance your day-to-day well-being, to keep you connected with your favourite things, and help you embrace new interests. And we encourage your family to be involved in all aspects of your life. Food is central to life here. Meals are a social occasion. All meals are tasty, varied and appetising, cooked fresh and served with care. Regis Whitfield was Facility of the Year Award winner 2018.